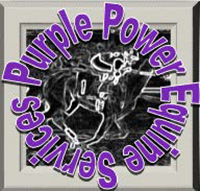 (Grand Prairie, Texas - Thursday, March 19, 2015) - C. Reid McLellan, PhD., national equine educator, will be conducting the 15th Lone Star Park Trainers' Exam Prep Class on April 1(9 am-4pm), 2 (8 am-4pm), and 3 (8 am-1pm) in the chaplain's classroom at the Racing Office at Lone Star Park at Grand Prairie. This intensive 20-hour program focuses on material covered on the National Trainers' Exam Barn and Written exams. The emphasis is on Texas Rules of Racing and comparison of rules from other states represented. 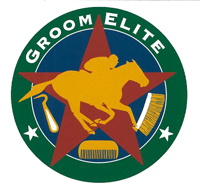 The Trainers' Exam Prep Class is designed to provide information about the Rules of Racing to individuals considering taking a state licensing exam, as well as for owners or horseplayers that simply want to know more about the Rules of Racing as they pertain to the training and racing of racehorses. McLellan participated on the National Trainers' Exam committee that wrote the current National Trainers' Exam. He has been offering this exam preparation class since 1998. Includes 110-page National Trainers' Exam Study Guide, CD, DVD, and more. Tuition is $349 after March 24th. SPECIAL EARLY BIRD TUITION $299 if paid by March 24.